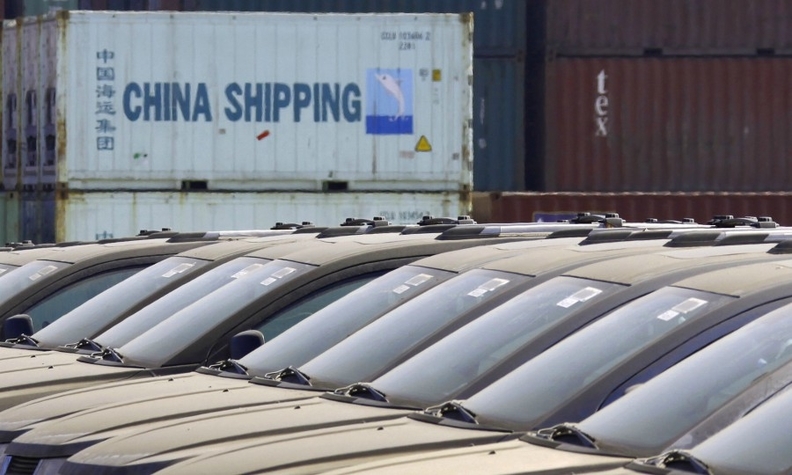 SHANGHAI -- Over the past decade, Chinese automakers' exports to emerging markets have thinned to a trickle after key regions such as Russia, Brazil, North Africa and the Middle East encountered economic or social instability. Now, equipped with better technology and a new generation of products, Chinese car brands are regrouping to expand overseas by targeting Europe and a select group of major emerging markets. Leading the effort are Geely Automobile Holdings -- the largest domestic Chinese passenger vehicle maker -- and Great Wall Motor, China's largest light-truck manufacturer. The trade dispute between China and the United States has prompted Geely to suspend plans to build vehicles under its premium Lynk & CO brand at Volvo Car's plant in South Carolina. But the company remains committed to launch the brand to Europe. Lynk & CO, whose products share the platform as the Volvo XC40, will launch sales in Western Europe in the first half of 2020, Geely President An Conghui told journalists Tuesday in the south China city of Zhuhai, where he kicked off sales of the first multipurpose vehicle for the Geely brand. In addition to Lynk & CO's products, the company plans to introduce Geely-badged vehicles, including the minivan, in Europe, An noted, though he stopped short of providing more details on the plan. After acquiring a 49.9 percent stake in Malaysian car brand Proton in 2017, Geely has made Southeast Asia one of its main export markets. In December, it started shipping the right-hand-drive version of the Boyue, Geely’s top-selling compact crossover in China, to Malaysia. The vehicle is now distributed there under the Proton brand. Following the Boyue, Geely plans to market and sell more products, including the minivan, through Proton's dealerships, An added. The vehicles will eventually be assembled at Proton's plant and sold in Malaysia and other Southeast Asian countries, according to Geely's plan. In 2017, Geely opened an assembly plant in Borisov, Belarus. The factory, which builds the Boyue, will supply Russia and other countries in the former Soviet Union after capacity is boosted to add other products. Like Geely, Great Wall also treats Russia and its neighboring countries such as Belarus and Kazakhstan as a key market. Great Wall's new assembly plant in the Tula Oblast region of central Russia is to begin output in the coming month, with annual capacity of up to 150,000 vehicles. The factory will produce SUVs and crossovers for Great Wall's Haval brand. But Great Wall's global ambitions are not stopping there. It is preparing to sell SUVs under its premium Wey brand and subcompact sedans under its electric vehicle marque Ora in Europe. Great Wall just signed a deal with German vehicle tuning specialist Brabus to revamp the powertrain, interior and exterior of its Wey-badged SUVs for European customers. The first Wey SUV adapted under the partnership will be displayed this year at the Frankfurt auto show. Great Wall also expects to launch a subcompact electric car under the Ora brand in Western Europe in late 2020, Michael Ning, vice president of Great Wall, told Automotive News China in December. Great Wall is not the only domestic Chinese automaker seeking to sell EVs in Europe. Chery Automobile unveiled an electric crossover in 2017 at the Frankfurt auto show while BAIC Motor displayed a concept electric crossover this month at the Geneva auto show. Meanwhile, several EV startups have disclosed plans to enter Europe. Two of them are targeting sales in Europe before year end: Aiways expects to distribute an electric compact crossover while Byton plans to sell an electric crossover. U.S. President Donald Trump’s tariffs have slowed China’s automakers' moves to establish sales in the U.S. but there are no signs their renewed enthusiasm to venture into other markets has been affected.